A CSS grid framework built on SASS to provide an automatic responsive grid for web developers with flexibility for manual control when needed. This grid is a float and padding-based grid, meaning that it works by using floats to create rows and padding to create the gutters between columns instead of margin. This framework is built based off of config values so any number of columns, gutter sizes, column breakdowns, and breakpoints can be configured and built with ease. 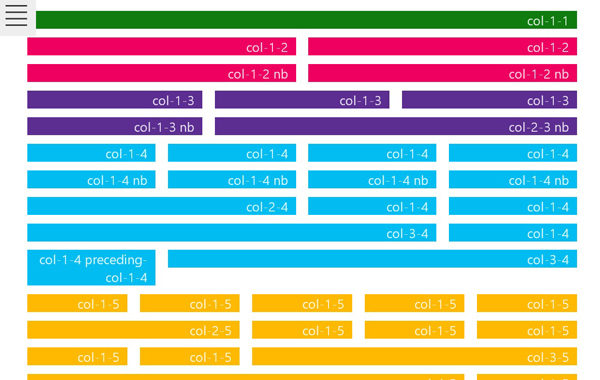 Supports column layouts of 1, 2, 3, 4, 5, 6, 8, 12, and 24 by default.